The four distinct parts of Scottsdale are easy to navigate and each has something to offer. South Scottsdale is an up-and-coming area with a thriving nightlife where many Phoenix-based professionals spend time outside of office hours. Central Scottsdale is home to a large number of the resorts and hotels in the area, and North Scottsdale boasts many of the golf courses that are a huge draw for Scottsdale visitors. Downtown, known as Old Town, is a main attraction in itself and a first stop for most visitors. In addition to exploring all that the town has to offer, we ventured out into the Sonoran Desert for hiking and horseback riding. 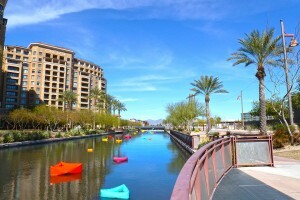 Have a look at Scottsdale and why it should be next on your RTX vacation list, and contact an RTX Travel Consultant to get started on your exchange! Some photos used throughout the Scottsdale articles provided courtesy of the Scottsdale Convention & Visitors Bureau at www.experiencescottsdale.com. With 51 golf courses located in Scottsdale’s city limits and an additional 156 courses in the surrounding area, it’s easy to see why desert golf is so popular here. Perhaps the only thing that can compete with golf as a top draw to Scottsdale is the healing and restorative power of the Sonoran Desert, which has translated to arguably more spas per capita than any other city in the country. 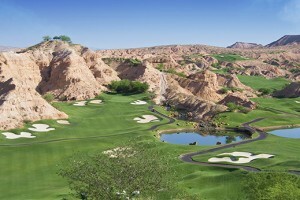 Luckily for visitors, world-class golf courses and spas can often be found within a few steps of one another. Scottsdale’s thriving arts and cultural scene is inspired by everything from Native American history to the scenic desert landscapes to modern and contemporary influences. 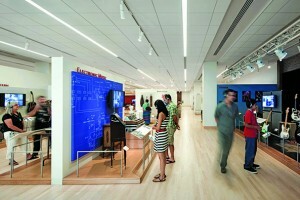 Visit www.scottsdalearts.org for more information about the area’s arts and cultural attractions. 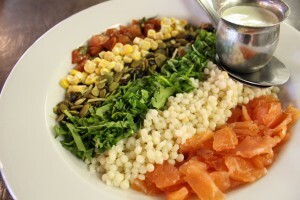 Cowboy Ciao’s Stetson Chopped Salad is a favorite dish among Scottsdale locals and visitors alike. The local hot spot shared their recipe with RTX Traveler so that you can enjoy this dish any time you like. 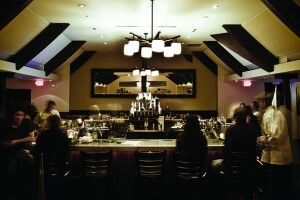 Scottsdale’s nightlife offers a wide range of experiences from casual country to festive southwestern to trendy and chic. 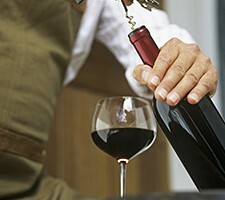 Often those experiences can be found in one place, making for a fun filled evening that anyone would enjoy. Here we highlight six spots in Old Town with a variety of atmosphere and ambiance that is sure to please even the pickiest patrons. Scottsdale’s ideal spring sunshine and warm temperatures start as early as the end of February, perfectly coinciding with the Cactus League’s spring training schedule. 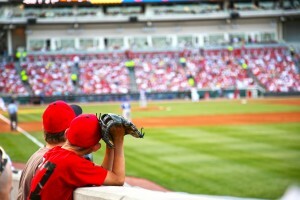 Baseball fans get an early start cheering for their favorites as 15 major league teams train in Scottsdale and Phoenix each year. As many as 11 games can be scheduled in a single day during this time, guaranteeing visitors to the area a good time during the game and plenty of places to celebrate – or nurse bruised egos – after the last inning. 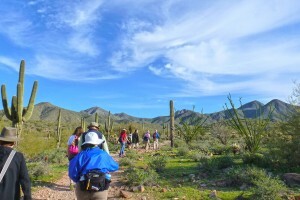 Set your own pace with an easy stroll or a vigorous trek through the hills and deserts surrounding Scottsdale. From the Sonoran Preserve to Pinnacle Peak and beyond, there’s plenty to discover. Horses are as much of a part of the Old West’s history, culture and landscape as cowboy hats and cacti. 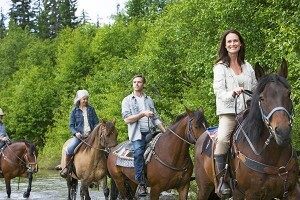 If you’ve been inspired by these majestic mares, head to MacDonald’s Ranch in North Scottsdale, just a few minutes from Old Town, where you can have your own personal experience with a trusty steed. With more than 600 restaurants in Scottsdale featuring flavors from across the country and around the world in casual cafes with plenty of patio space and fine dining in chic spaces, you’ll want to try it all; or at least as much as you can. A Taste of Old Town Scottsdale’s three-hour lunch tour lets you sample several of Scottsdale’s best while soaking in the culture and history of the town. Whether it’s for his innovation in design, his emphasis on connecting his buildings with nature and the earth, or his quirky personality, Frank Lloyd Wright is one of the most famous American architects who ever lived. With 53 buildings currently open to the public, Wright’s works are explored and enjoyed by architects, enthusiasts and anyone who can appreciate the kind of beauty and harmony his designs showcase. 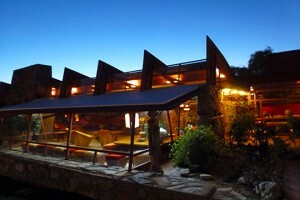 Taliesin West in Scottsdale is one of the most active in keeping Wright’s legacy alive. Scottsdale’s nickname, “The West’s Most Western Town,” might conjure images of cacti, tumbleweeds and cowpokes, but there’s much more to the it than the old west kitsch. The town’s proximity to Arizona State University, corporate mecca Phoenix and a headquarters for the Mayo Clinic along with a rapidly growing aviation industry all keep the area modern and sophisticated with some of the best shopping, dining, golf and resort options in the Southwest.